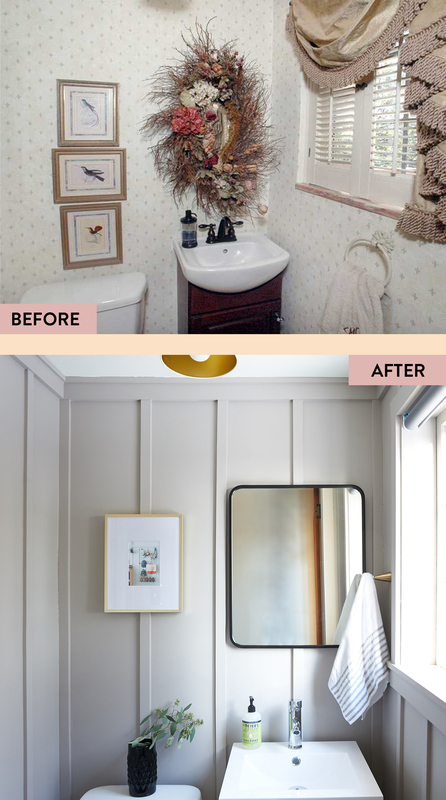 Earlier this week I shared the Powder Room Before and After – click on over to that post to see the full reveal! We did the whole remodel ourselves (with a lot of help from my dad) and want to walk you through the whole process. A lot of it was just undecorating (de-cherubing) and removing poor materials like rubber cove base and bad vinyl/linoleum tiles. And we could have stopped there – a fresh coat of paint and some new fixtures would have been a huge improvement – but I had a vision for something a little more complicated. Vertical board and batten walls! 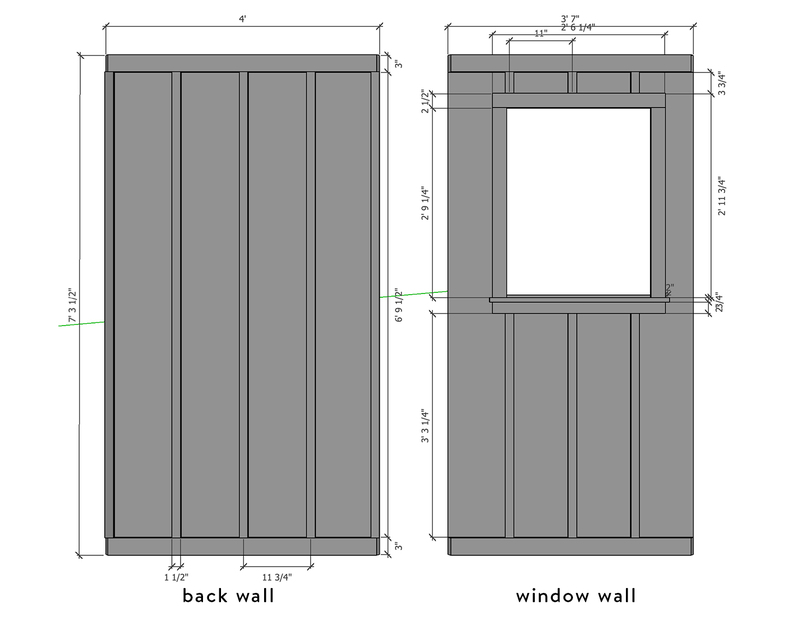 When I start most projects, I start with two things: a SketchUp plan and a moodboard. The SketchUp plan lets me measure the room once and then pop in different items to scale to see if they’ll fit and function in the space. 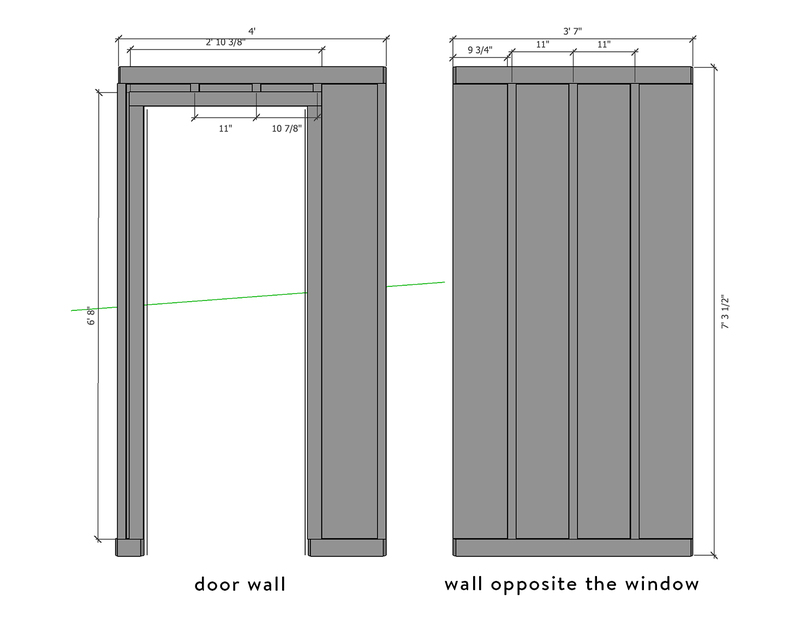 For this project, it also allowed me to figure out exact dimensions for how we’d space each batten and how wide and deep each batten could be and not overwhelm the room. 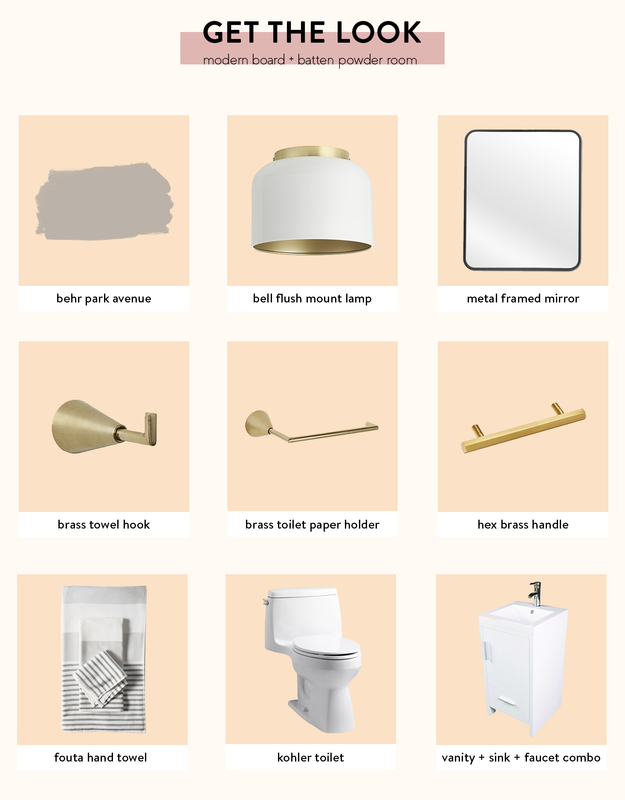 The moodboard helps me with finishes and color schemes and making sure I’ve picked the right things for look I’m going for — I’ll share my moodboard with you at the end of this post! I decided I wanted to add texture and detail to the room in a style that would suit the house. 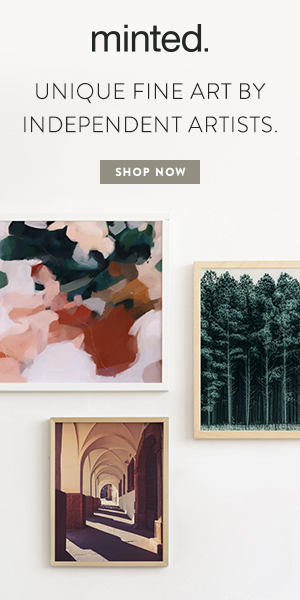 I saw some very dreamy photos of vertical board and batten walls on Pinterest and fell in love. 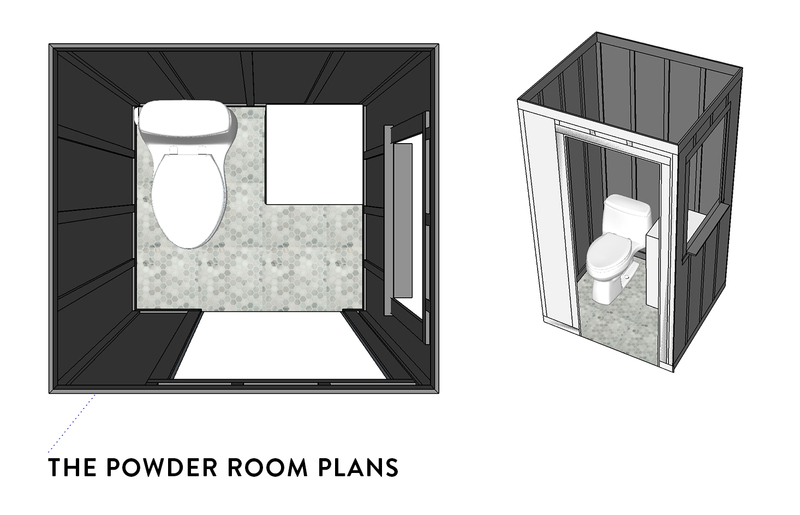 I started mocking it up in SketchUp to make sure it wouldn’t be overwhelming in this small space. The room is not a perfect square, but I wanted each wall to look balanced with the same number of vertical battens per wall. I also didn’t want to mess with building pieces for the corners, so you’ll see that just 2 walls have pieces at the edges of the walls while the other two don’t. And I HAD to have those little batten nubbins above the door frame. The vertical battens are 1 1/2″ wide and 3/4″ deep. 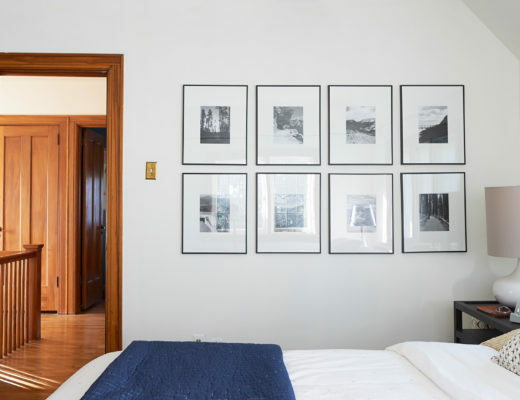 The base and crown molding is 3″ wide and 1″ deep. 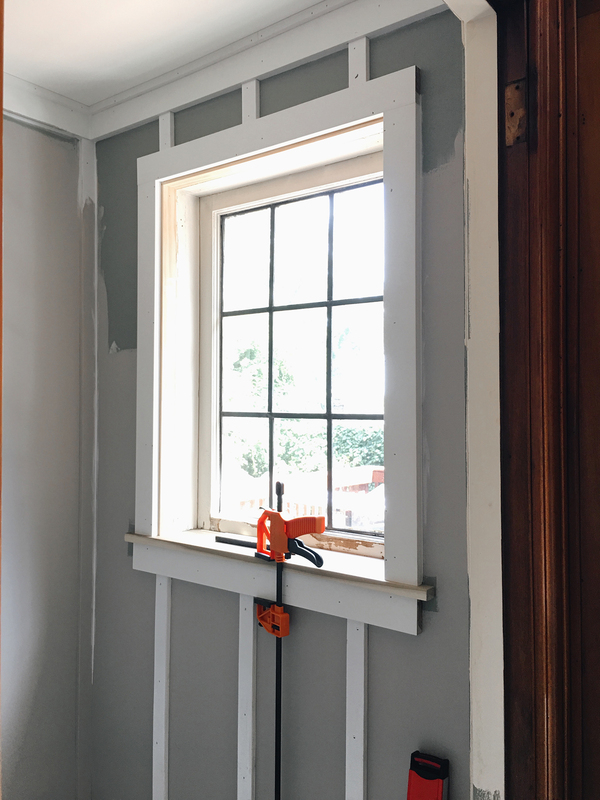 We also needed to reframe the window and replace the sill – there was no molding left around the window and the sill was severely water damaged. Once I had my plans, I sent them to my dad for opinions on materials and feasibility. My dad loves me very much and is very proud of me in general, but I think it’s never truer than when I create detailed drawings like this. 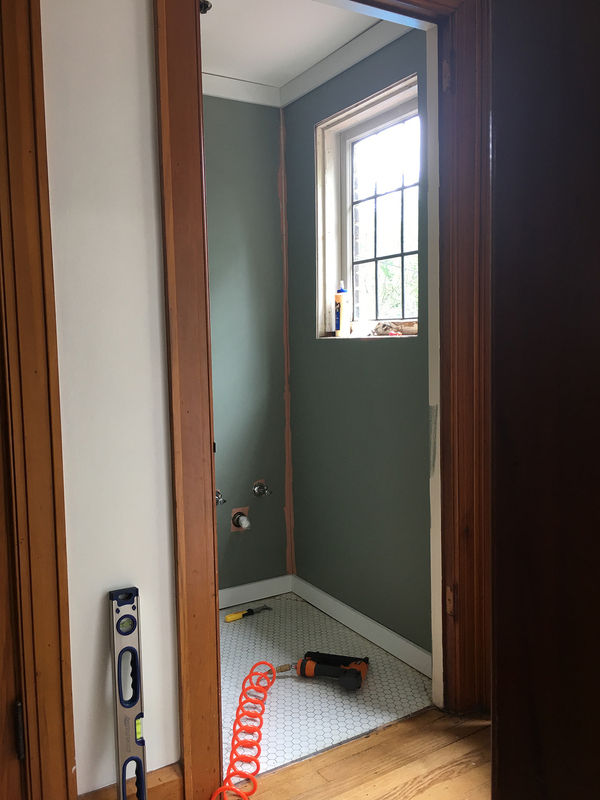 We decided it would be easier (and more traditionally board and batten) to line the walls with sheets of wood rather than try to perfect the plaster walls. And before I knew it, I got a phone call that my dad had picked up all the materials, made all the major cuts, and had requested time off work to get this done. When it was go time, my dad set up his saw in our driveway and made more precise cuts after double checking my measurements. 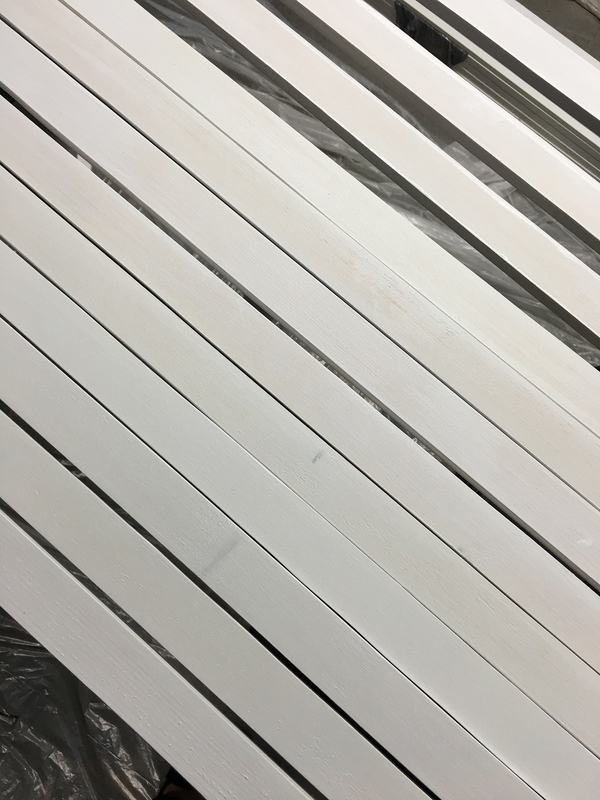 He picked up both primed and unprimed wood so I set to priming what I could and tried to make a final decision on what color to paint the walls. I know. I am a last minute color-picker. 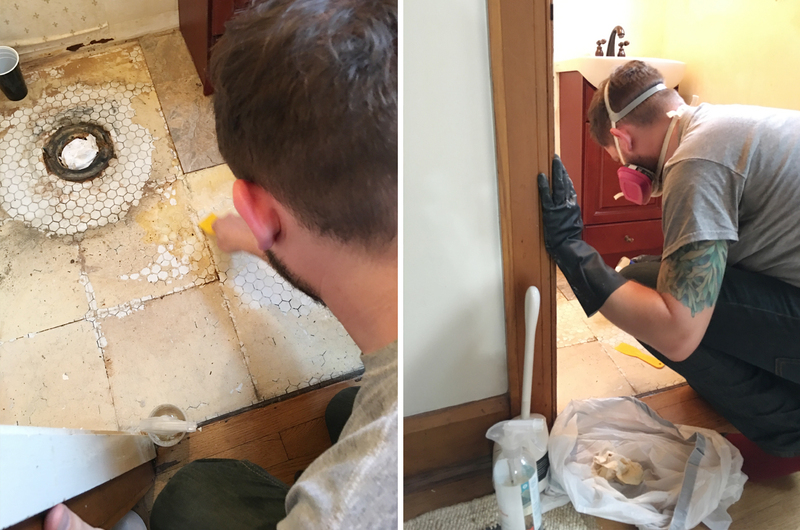 Andy began removing tiles and adhesive from the floor. I had given this the old college try weeks before with our wallpaper steamer. Would not recommend. Andy used acetone (with a mask!) and it removed the adhesive in a jiffy. This is also where I should tell you that this bathroom never smelled clean. It always had a smell and I couldn’t make it go away. We found out that the toilet seal had not been applied correctly or had worn away, so it was leaking between the vinyl tile and original tile. Silver lining – it removed some of the adhesive all on its own! Wooow. With everything removed you can see that there was likely a tile baseboard here originally. 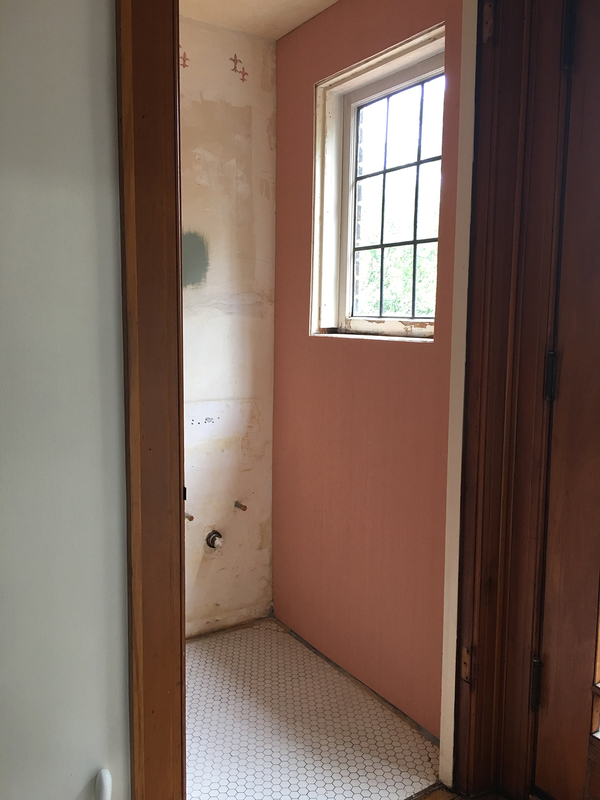 There’s also evidence on the walls that this bathroom was likely tiled up half the walls much like in our blush bathroom. I set up saw horses in our basement and set to priming with Kilz primer. 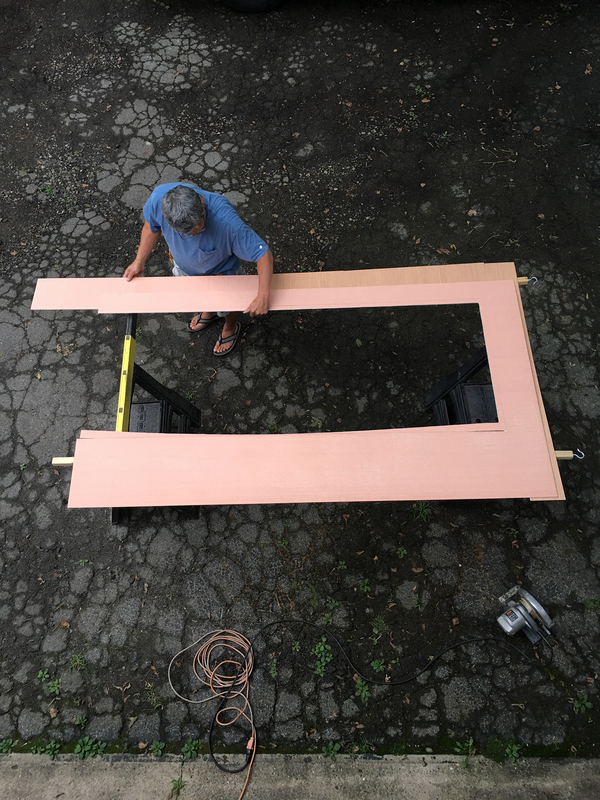 My dad picked out preprimed poplar plywood for the walls. Here he is making careful cuts to fit the board perfectly around the doorway. The boards were cut to fit the walls exactly, which was no easy task with the crooked walls in this old house. 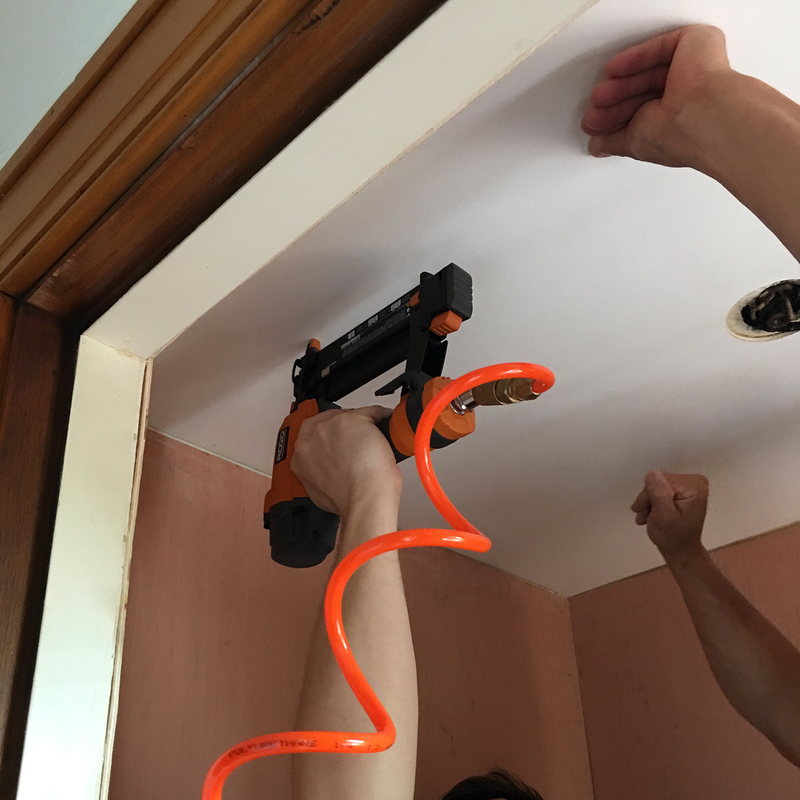 They were attached to the walls using liquid nails and a nail gun for good measure. 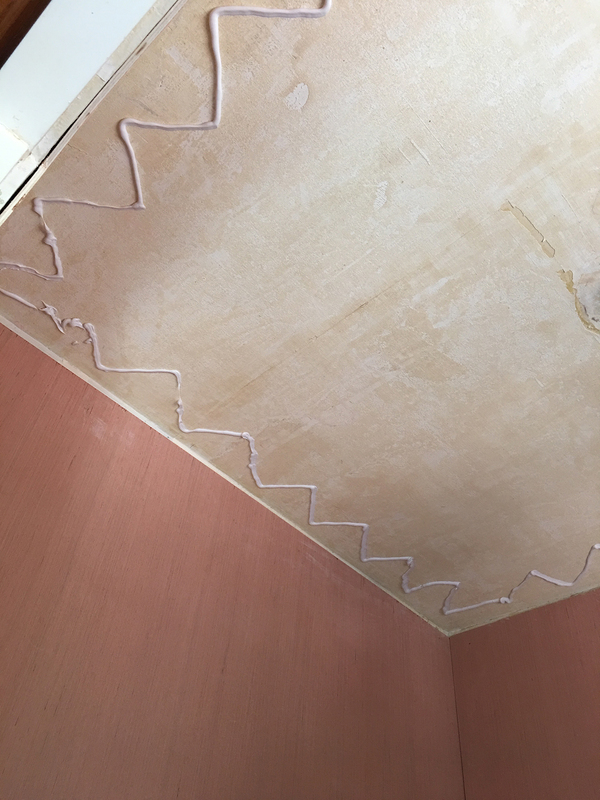 We decided to cover the ceiling with a board as well, mostly because I couldn’t imagine scrubbing the wallpaper paste from the ceiling and also because I hate painting ceilings. I painted the ceiling board and then it was glued and nailed in place. At this point, I had decided to paint the walls sage green. 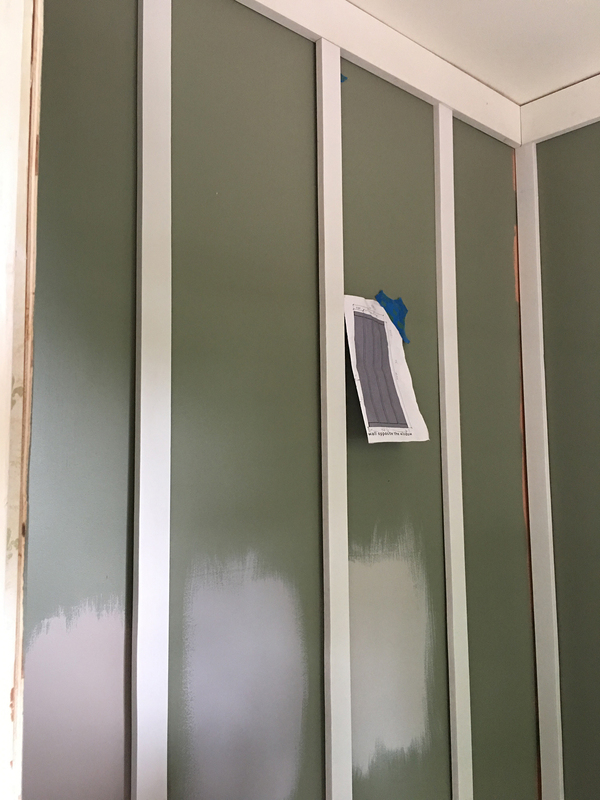 Choosing the right green was really tricky and when I finally landed on a shade, we stepped back and realized it was the same color as our kitchen. Which we do not like. 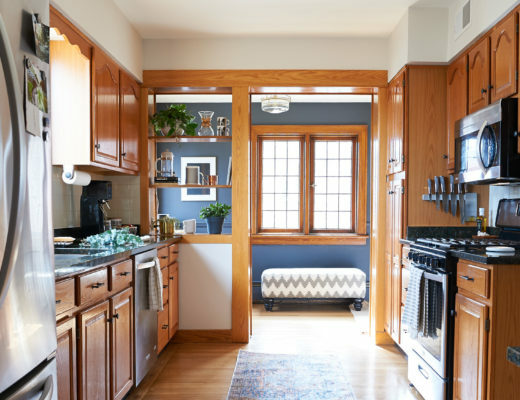 Our kitchen is dated and frustrating and has ruined the color sage green for us. Always buy samples and swatch before you buy a gallon of expensive paint. This is advice I give freely to everyone whether they ask for it or not but I do not follow my own advice. All this to say, you’re going to see some different paint colors happening as we go here. My dad started putting in the baseboards and leveling them up. Baseboards and crown molding in! Andy spaced out the vertical battens according to my measurements and attached them using a nail gun. Also of note here: swatches of 3 gray paints on the wall. I bought little samples and I swatched them, which I’ve heard is a really smart move. Once all the battens were in, I had a lot of nail holes to fill and a lot — A LOT — of caulking to do. 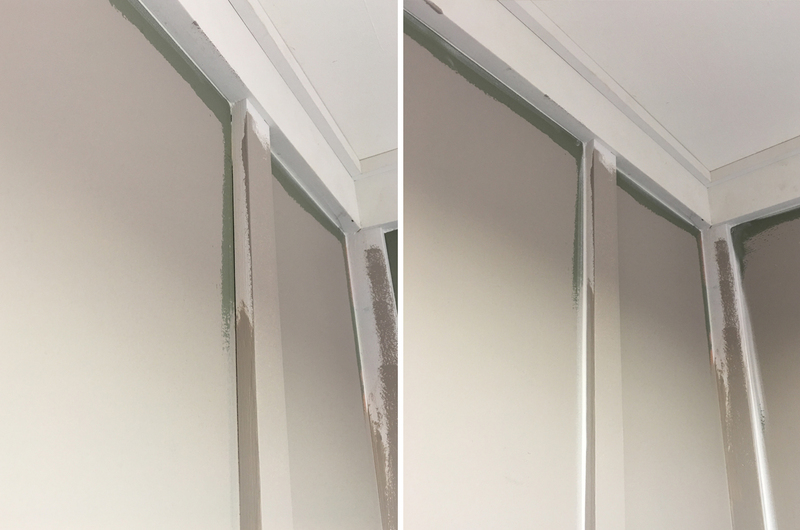 Painters caulk is magic, and you really have to love it if you’re going to do this much. More advice I didn’t follow – caulk first, then paint. The painters caulk is crucial to fill in the gaps where the battens can’t fit flush to the walls. And to fill in the gaps where the ceiling and floor aren’t perfectly level. My dad worked his magic in framing out the window and adding a new sill. The window itself needs some attention, but that’s a subject I’ll tackle in another post. 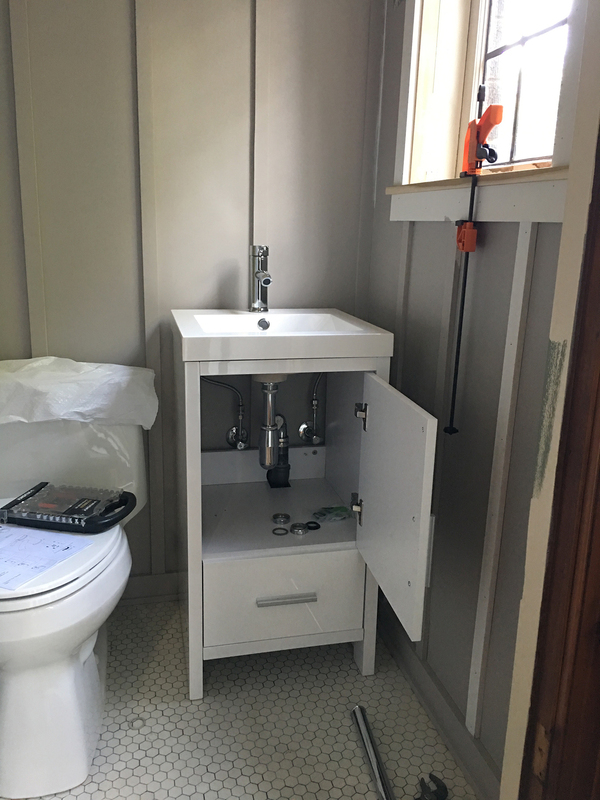 The toilet installation went smoothly – I really love this toilet from Kohler. It’s the nicest one in the house and now I want all Kohler toilets. The vanity installation did not go so smoothly. I ordered the vanity (which is actually a vanity, sink and faucet combo) from Amazon. 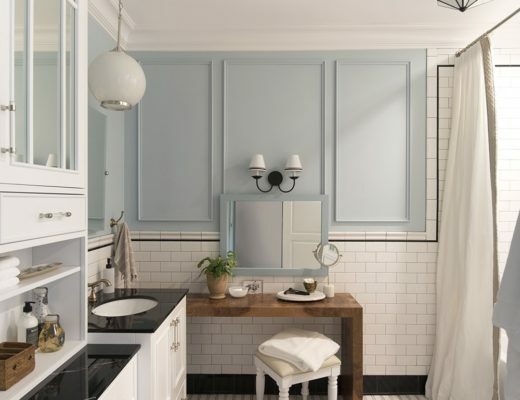 It is extremely tricky to find a nice looking vanity around 18″ wide. IKEA has some good options but they’re all too shallow or too modern for this project. There was some damage to the cabinet when it arrived but nothing that could be seen once it was installed. The faucet is pretty cheaply made and has a bit of a bend to it, so it’s likely that we’ll replace it someday. The actual plumbing is where we ran into a lot of issues. I’m not sure if it’s the vanity’s fault or because or the existing plumbing, but my dad had to do a lot of improvising. This including cutting an extra notch in the back of the vanity and also no less than 6 trips to Home Depot for plumbing parts. 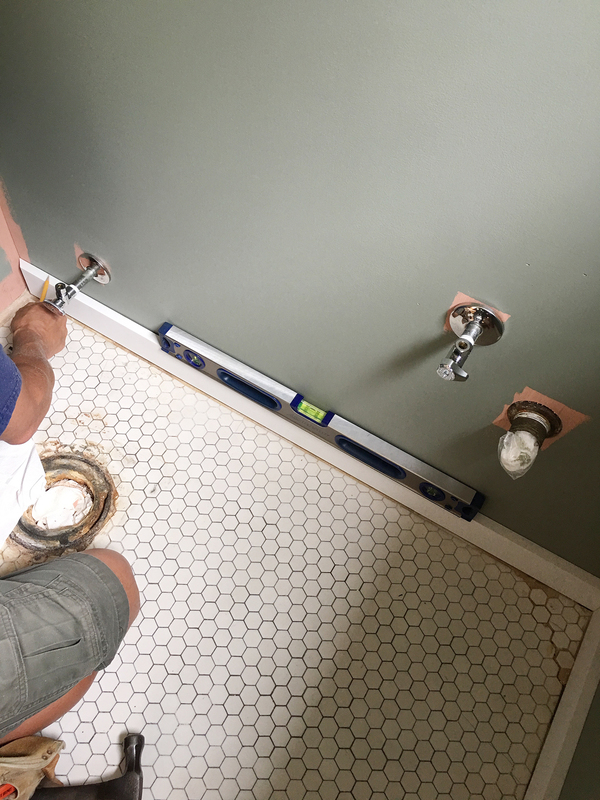 Take from that what you will – my dad is not a professional plumber but this should have been a pretty straightforward project. 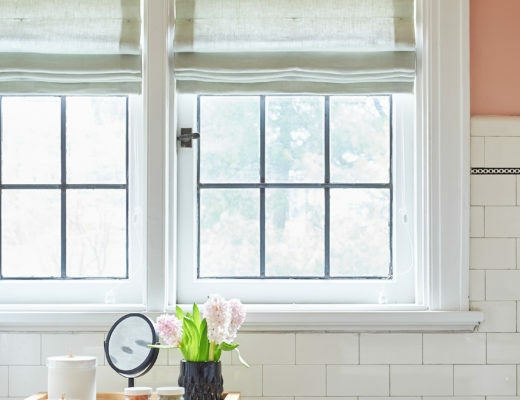 If your home is newer, you may not have any issues. The vanity has a gloss white finish with chrome faucet and drain. It came with brushed chrome handles which we replaced with brass hardware from CB2. I wish I could say this project was tackled and wrapped up in the span of a long weekend, but it took 2 weekends of work with my dad plus months of me avoiding caulking and painting to get it done. But I love it. My dad cut the battens himself out of a larger piece of wood, but I can tell you we used these Poplar Plywood Sheets from Lowes. Because we were able to save the floors, our materials cost was very low. I estimate that our materials totaled around $80-90 in wood plus about $110 in paint, caulk, acetone, liquid nails and wood filler. 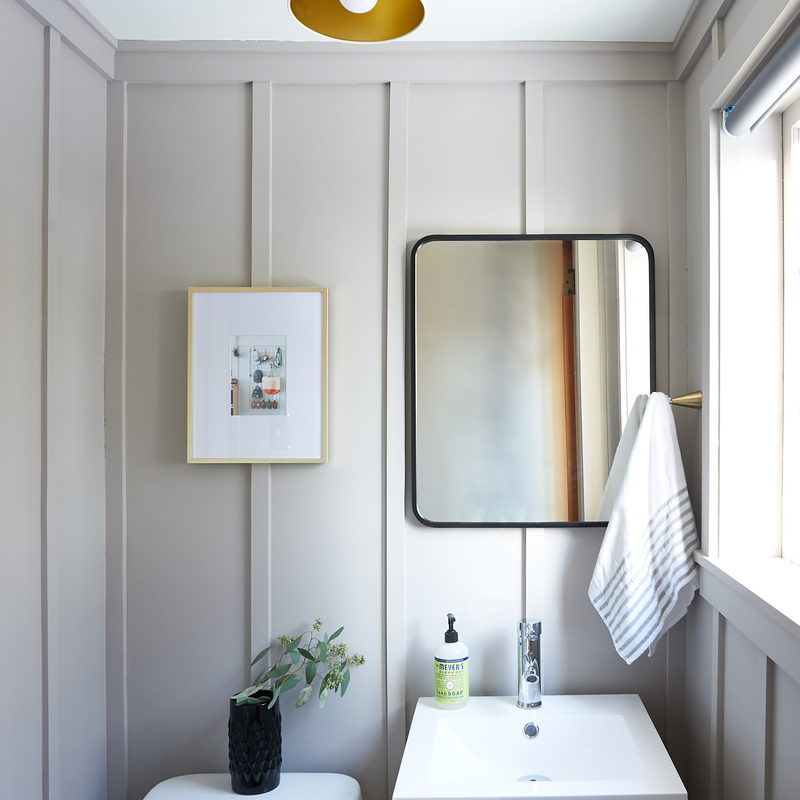 The majority of the spend was in the fixtures for the bathroom, which we kept pretty budget friendly as well. I love this so much! 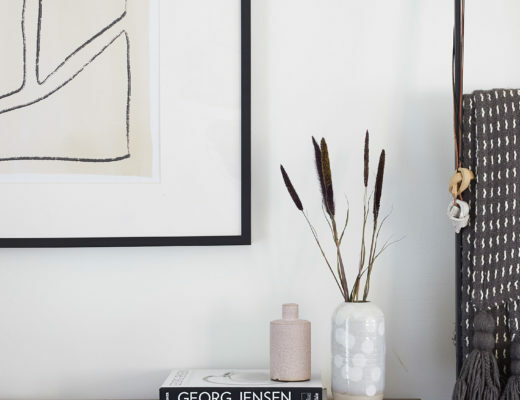 I’m planning on doing a modern vertical board and batten in my guest room, and this tutorial is great! 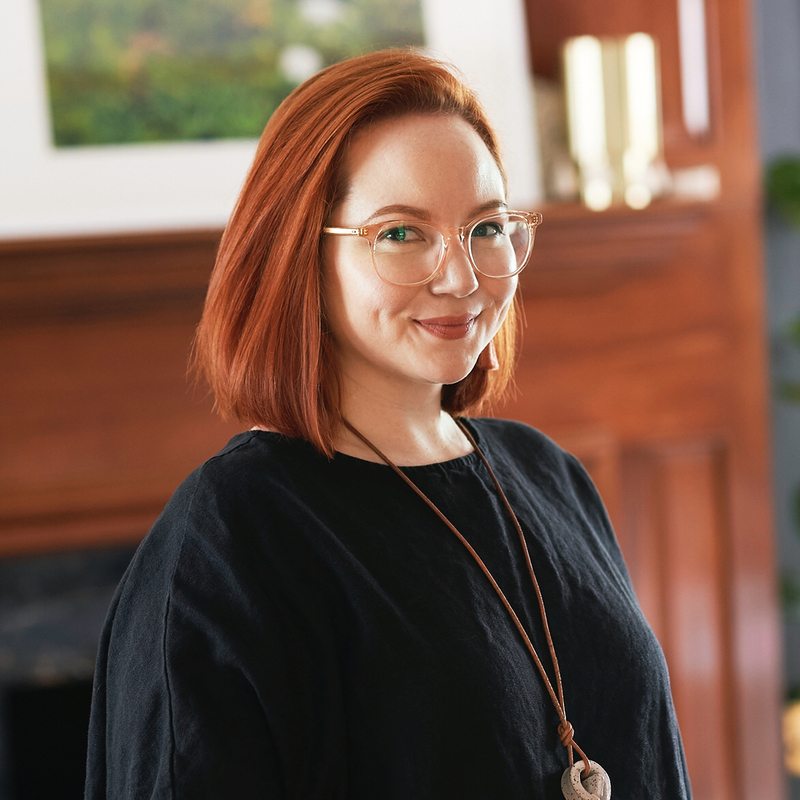 I just discovered your blog from design*sponge! Yay! Thank you!! So glad it’s helpful and So glad you’re here! Mind enlightening me on your tile situation a little more? I’ve got a 1916 Foursquare in fabulous College Hill neighborhood of Wichita, KS. 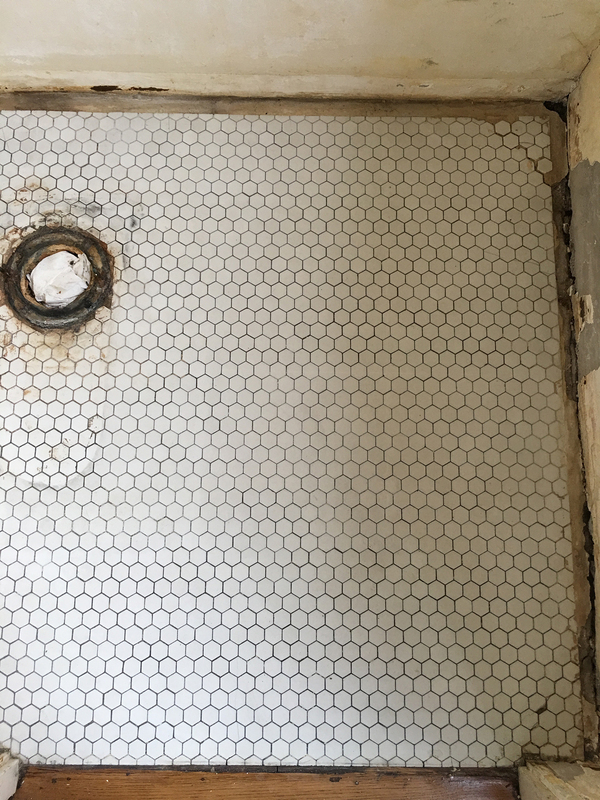 My tile is dang near identical to yours except I have a color pattern in mine throughout the white (mauve and gray hex tiles form a simple “flower”). I can’t get the damn things clean…yours look great. Was it just the acetone that did the trick? Your tile sounds so pretty with the mauve and gray tiles in a flower pattern! We used acetone to remove the adhesive but the fumes were intense! Have you tried Barkeepers Friend? 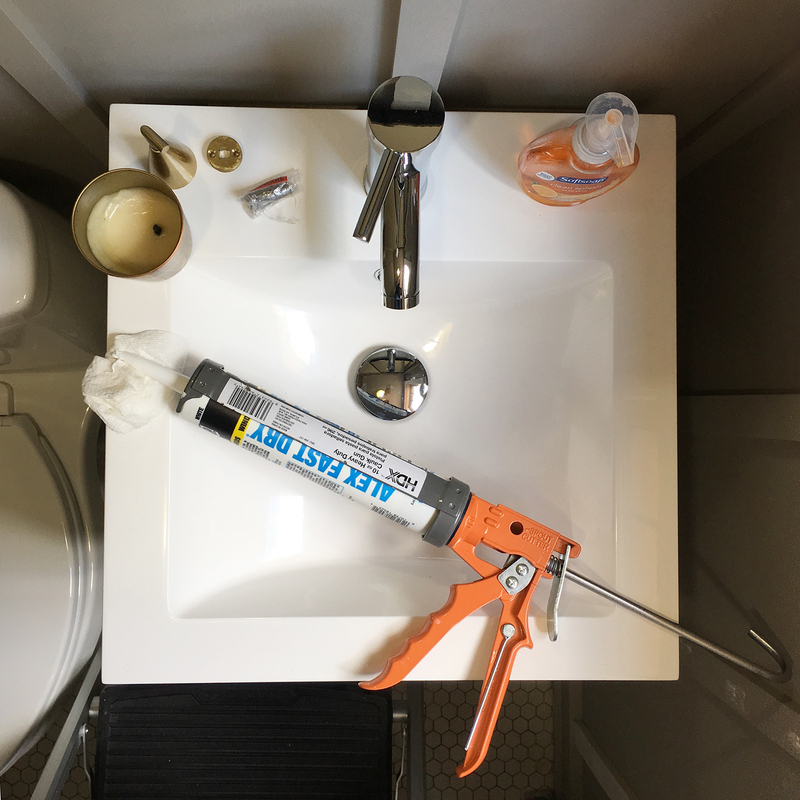 I’ve used that on stubborn dirt on tubs and tile and it’s done wonders – should clean your grout too. I like the dry version better than the liquid version. Thanks for sharing all of that Emily. That is what I love about blogs, the problems, the solutions, the amount of work, the prices. I really appreciate all of the in-between shots and little frustrations because that is what it feels like to me as I go along. I actually got a lot out of the overhead view because then I could see how small the room was. I wish I had someone who could help me with a board and batten wall, something about it being all newish and slightly textured appeals to me. Your dad and Andy provided a big assist. So glad you kept the old tile floor. 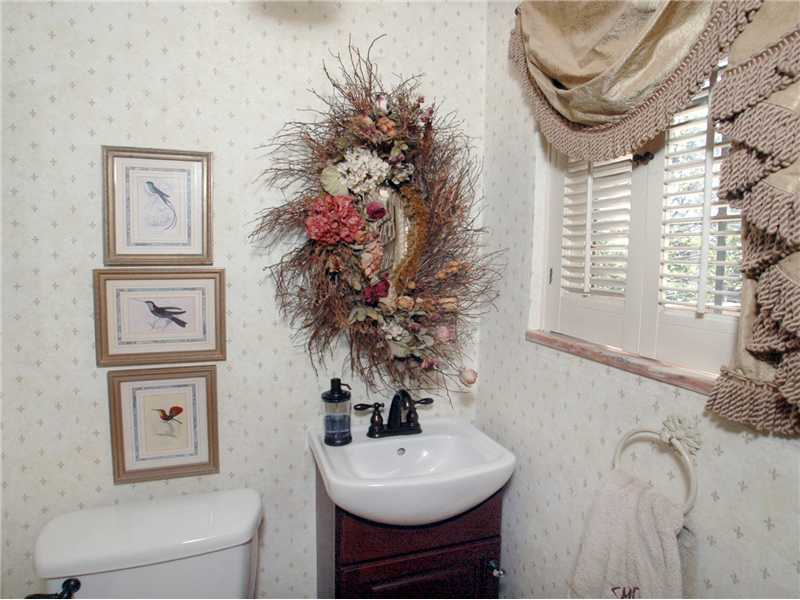 I love this bathroom so much. 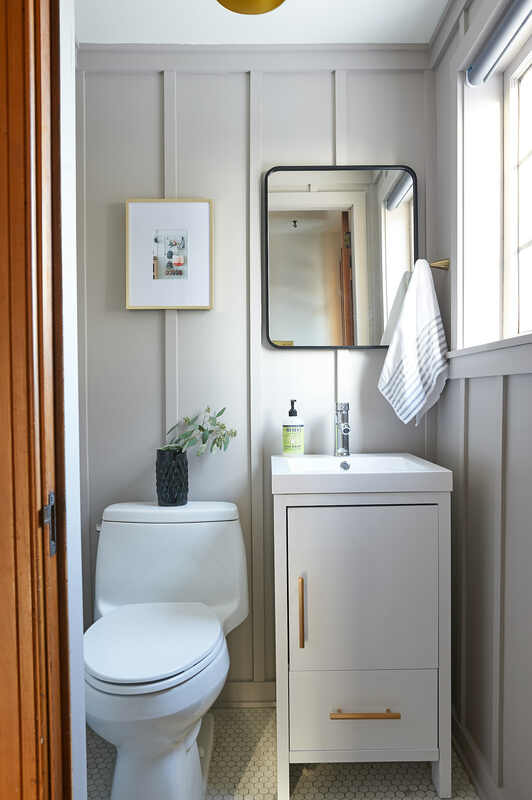 I’ve been trying to figure out what to put on the walls in our hall bathroom and I think I’m going with your vertical battens. We have no natural light in there, do you think this gray would be too dark without any natural light? It’s such a pretty color! Hmmm I’m not sure! I closed the blind we have in the powder room and took a look, it was still pretty and not too dark! But I recommend getting a sample and putting it on your walls to see. 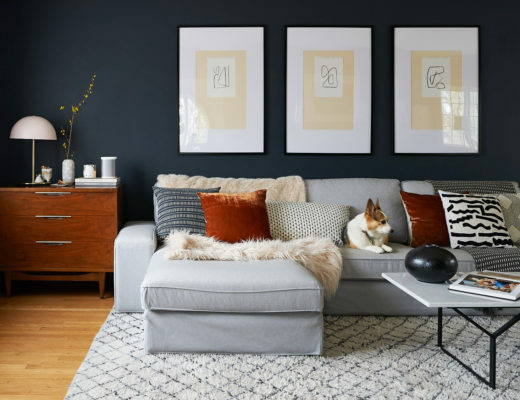 Someone told me they sampled this color in their home and it leaned purple – which it doesn’t at all in our house – so it’s always worth a test!